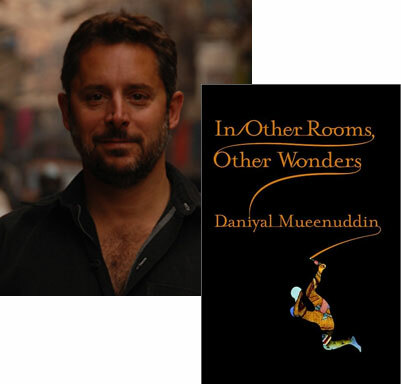 I had the pleasure of meeting Daniyal Mueenuddin a few months ago when he came to New York a few months ahead of the publication of In Other Rooms, Other Wonders, his debut collection of short stories, introducing himself to the literary media. I quickly became engrossed in his stories about life in the cities and villages of Pakistan—this is definitely one of the first great collections of 2009, and if I know the folks at The Story Prize, they should already be setting it aside for the shortlist from which they draw their shortlist. I invited Mueenuddin to tell readers about one of his favorite short stories; in a wonderful twist, he chose instead to focus on a Turgenev story that’s stuck in his head for slightly different reasons. Turgenev is not the greatest of the Russian writers of prose fiction—Nabokov ranks him fourth, after Tolstoy, Gogol, and Chekhov—and “The Singers” is not my favorite short story. 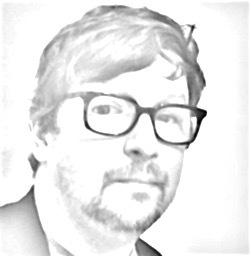 The ending, however, has always intrigued and troubled me, and often lodges in my mind when I’m considering the endings of my own stories. Since I’m indulging in lists and rankings, I will suggest that, when writing short stories, the hardest part is the ending, then the beginning—and then, surprisingly—the title. Beginnings are to a degree given—there’s a reason that you’ve chosen to write this particular story, something you heard or an image or a situation—and so, as you sit facing the blank page, pencils sharpened, lights adjusted—you know more or less what direction you’re heading in. And then, journeys begin with light feet and a light heart, the wind at your back and no monsters yet encountered. Titles are a special case—some people have a knack for them, like crossword puzzles or naming dogs. We all have our favorites: Blood Meridian, The Wide Sargasso Sea, etc., etc. But endings! Endings are vexing. There you are, with all the long puffing train behind you, pushing you, the weight of the whole story pushing you forward, now as you reach your terminus—and yet, you must go off the rails, and going off the rails, you must keep the wagons behind you upright and must pull the whole thing up to the wrong station, the surprising station, the right station, but right in a way that neither you nor the reader expected, built of ice or rococo plaster, rainswept or haunted or full of bankers. This is where Turgenev’s story comes in. Like so many of the stories in A Sportsman’s Sketches, this one seems hardly constructed at all. A hunter, a small landowner, walks into a peasant tavern in a run-down village on a hot summer day. A highly miscellaneous group is assembled—the Blinkard, the Gabbler, the Wild Master—these are their nicknames, and they’re an odd lot, loungers and boozers, ‘road masters’ as we call them in Pakistan, men whose main occupation is strolling up and down the village street. And that’s the end of it—leaving the strange nutty taste of this ending, which is almost unsatisfying, lingering on our palates. What does it mean?